by a small group of local residents on a single court. 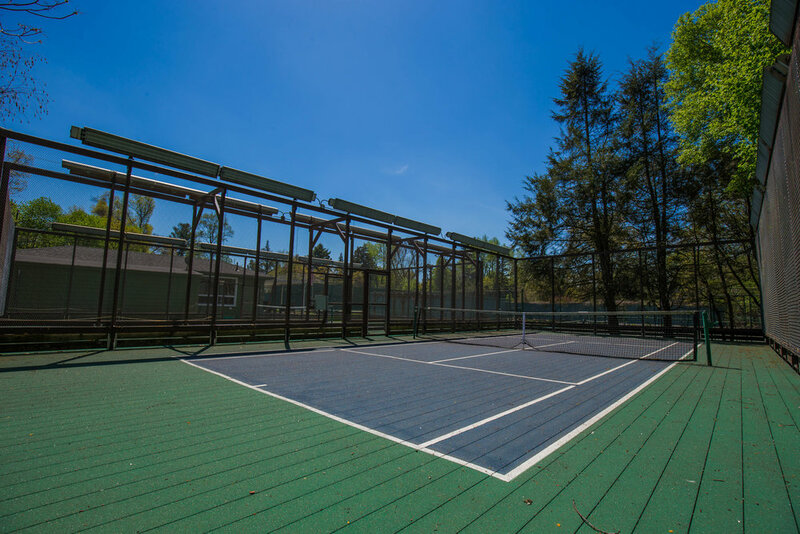 As of 2017, there are seven tennis courts, two paddle courts, & 150+ members. neatly tucked into the bend in the road on Sunset Drive. 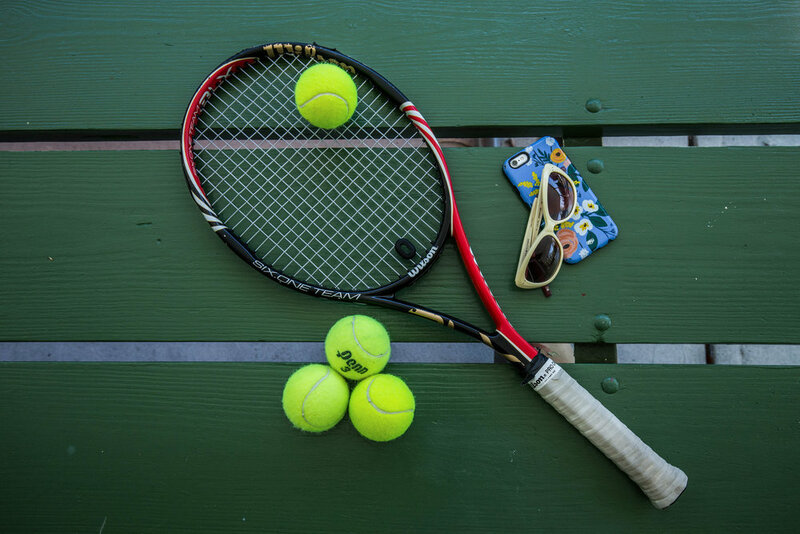 to provide an outlet for tennis enthusiasts to share their passion. 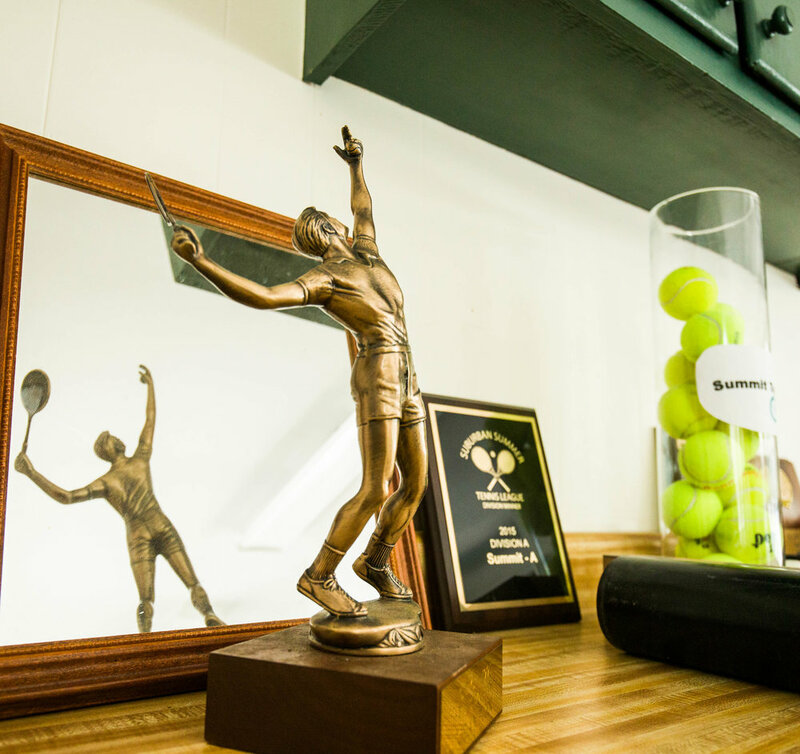 Clockwise from top-left: member reception area; trophy; one of two paddle courts; tennis essentials. the feel of playing on the world's leading clay surface. 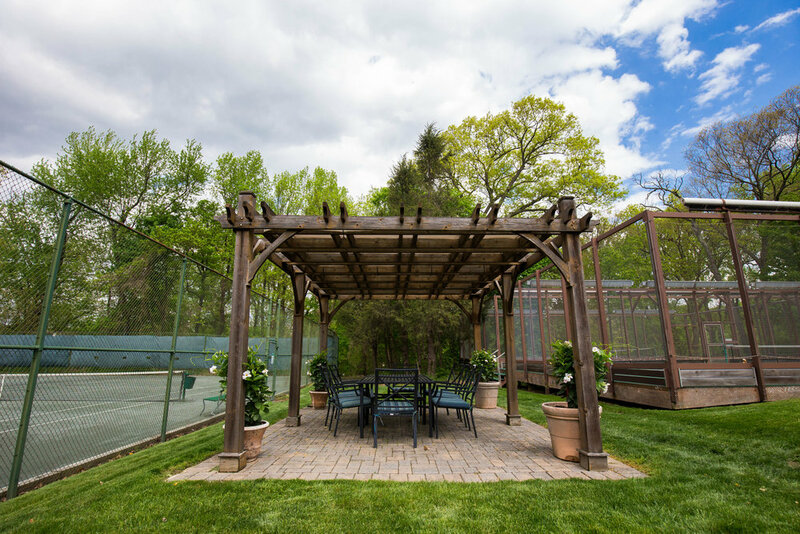 We maintain 7 pristine HarTru tennis courts, including two lit platform courts to accommodate evening play.